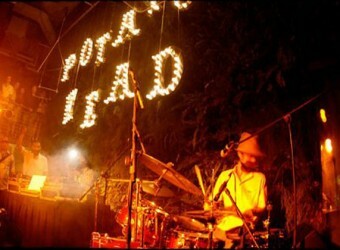 Bali Restaurant Potato Head is a dining bar located directly on Seminyak Beach with a head office in Jakarta, Indonesia. There are table seating inside bar and outdoor seating overlooking the beach. Guests enjoy their lunch and drinks at pool and beach at daytime, but at night the atmosphere changes completely into a stylish bar. Popular menu is pasta and risotto, a wide choice of cocktails also available.